Pick-up Soccer: Summer is almost hear and it’s almost time for summer pick-up. So far we have four locations that are listed below. You can always see what pick-up is available by visiting the Pick-up Soccer page. If you know of other pick-up locations or events please let us know. You can comment here or email soccer(at)centralpasoccer.com to let us know. 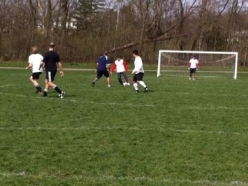 Sundays: Donegal Youth Soccer (DYS) is having Pickup Soccer on Sundays, 6PM @ Community Bible Church field. It’s a pretty loose group and kids sometimes play when numbers are low. They institute a no slide tackle policy and ask that you park in the parking lot just past the field. Any questions can go to coaching@donegalyouthsoccer.com You can find the field via the following link on Google Maps. There are some changes to the PickUp page for the fall. We’ve added Tuesday nights behind the Villa Nova on Harrisburg Pike Lancaster. There’s still pickup on Tuesdays and Wednesdays in Wyomising. If you know about any other pickup please comment here or post to our Facebook page. Check out the PickUp Page for more. That’s right Over 50 and still kickin! If you’re Over 50 and looking to get out an play, this Wednesday at The Quarry in Wyomissing is your chance! When: Wednesday June 27 at 7pm. Register: Just show up! Use the link The Quarry (Google Maps) for directions. Contact us for more info. Just a reminder that the first Over–50 game of this fall season will start tomorrow night, Wednesday, September 14, at 7:00 at the Quarry. Bryn will be there around 6pm for registration. Just a reminder that the last summer Over-50- game will be tonight at 7:00 at the Quarry. We are registering for the actual fall season with games every 2 weeks beginning September 14, Wednesday night, at 7:00 at the Quarry. See Jeff Frank, Polo Shish, or Barry Christ to fill out a form for one of these 3 teams. You must be 50 or over to sign. Also, if you have already signed an Over-40 form, you must still complete one for Over-50 with one of these 3 gentlemen signing as well. These forms will be sent in to the state. Over 50’s Match Canceled for Tonight, August 10th. Tonight’s over 5o match is canceled for tonight due to wet conditions. Next game is schedule for 8/24/11, 7pm at the Quarry. We’ve added some new info. to our pickup soccer page. Make sure to keep checking back for more. 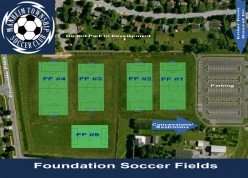 Wednesdays: Foundation Fields (Overlook Park) : @ 6pm until Dark. Cost – free. This evening is for ANYONE to play pickup (men, women, children). If enough players arrive for an adult game and a youth game… someone take charge and split the games! This evening is for the more competitive ADULT players. Again, if enough players show up, the games can be split into two games. Tuesdays & Wednesdays: Wyomissing Quarry Fields: April-Thanksgiving. Tuesday and Wednesday @ 6pm. Cost $5. an egg on this one! Sorry to anyone that showed up at the Quarry last night and there was no game. We do our best to keep our readers informed of any soccer events in the area, but sometimes something slips through the cracks. The Over 50’s game for May 11th has been rescheduled for May 18th at 7pm at the Quarry in Wyomissing. Sorry again for not having the information sooner. We should be getting more pickup dates and locations soon, and as always please let us know if you know of any pickup sessions going on around Central PA: Lancaster, York, Reading, Harrisburg and more. Make sure you check the pickup soccer page for more updates.